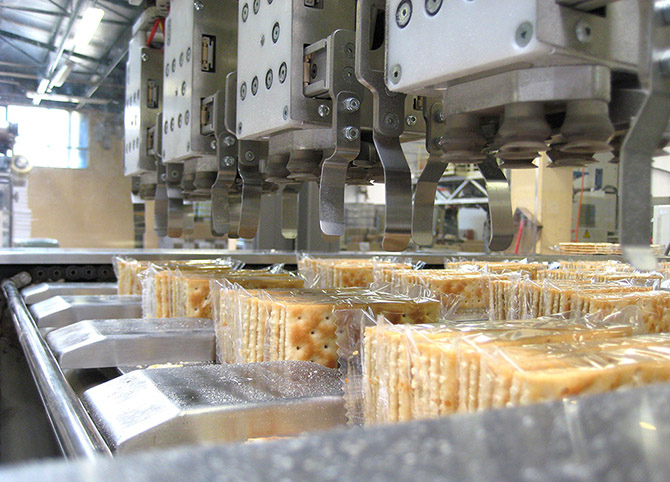 Food industry: food packaging machines, automatic packaging, bagging machines. 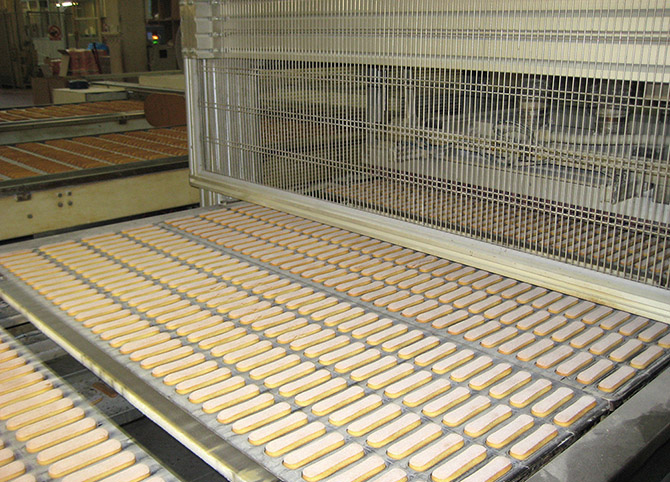 Systems designed for any type of food and packaging requirements with the most sophisticated technical solutions. Respecting the needs of a market that demands high flexibility, increasingly reduced batches and increasingly personalized products, Patreider offers effective and efficient solutions capable of handling tubes with different diameters, heights and weights; Whether it be plastic or aluminum containers and with different types of cap. Unloading savoiardi from the oven with sorting in precise ranks. Accuracy, speed, reliability and repeatability are some of the adjectives that distinguish Patreider automation. The unloading of an oven is nothing more than an assurance of subsequent automation: orderly and accurate positioning makes product boxing easier and quicker. 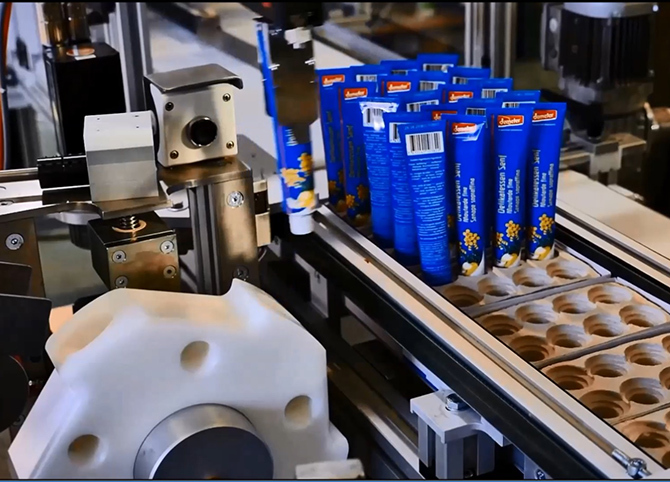 Food packaging, automatic packaging, bagging machines: complete packaging process with servicing, handling, assembly. From simple transport to full line production through complete assembly and execution of handling and packing machinery. Patreider solutions stand out for flexibility and innovation. 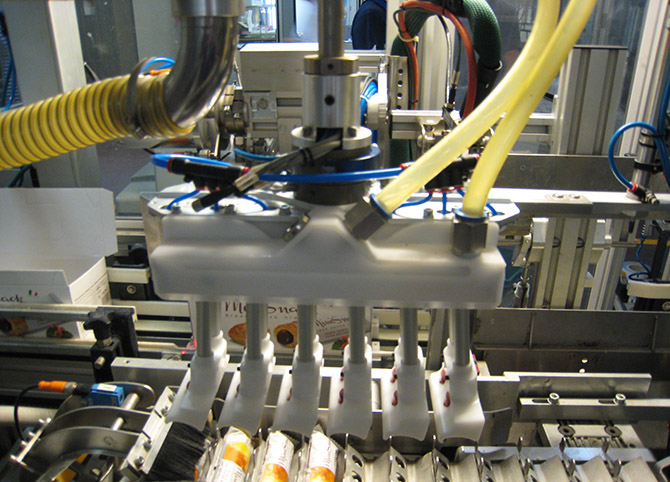 Food packaging, automatic packaging, bagging machines: adaptive grippers. Adaptable grippers based on crackers’ rising. Our across-the-board know-how, coming from providing almost tailor-made solutions to various industrial sectors, has allowed us to export solutions from one sector to another by delivering nearly impossible solutions.